Latest flight paves way for full-scale testing and a launch in 2017. 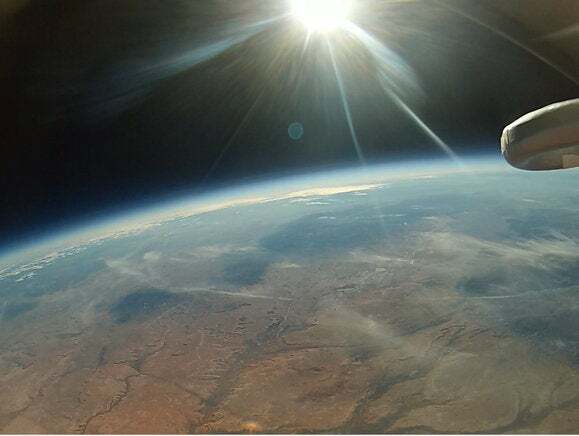 World View says a successful test flight over the weekend puts it a step closer to commercial balloon flights high enough to see the curvature of the earth and the black of space. 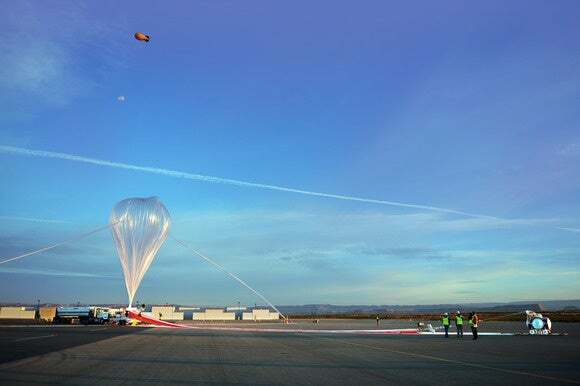 On Saturday, the company launched from Page, Arizona, a working 1/10th scale model of its flight capsule under a huge balloon that traveled to 100,475 feet (30,624 meters), it said Monday. 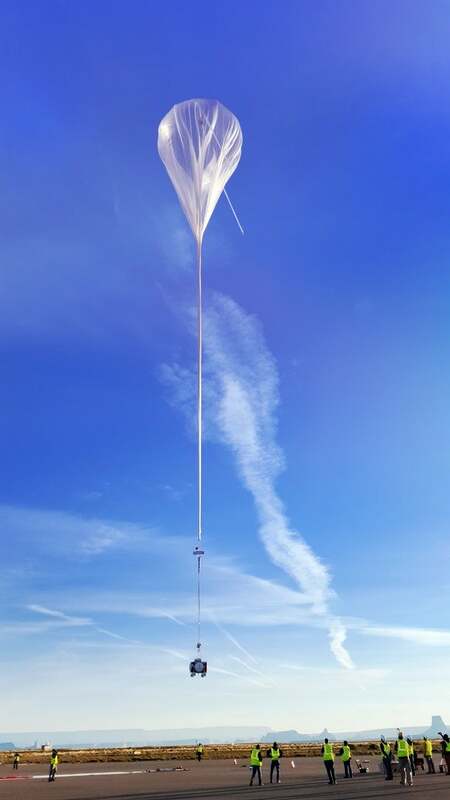 Once there, a system detached the capsule from the balloon to begin a controlled descent to a landing site using a proprietary parafoil, which is something like a steerable parachute. The systems had been tested before, but the weekend flight was the first time all had been combined into a single flight that mirrored the proposed commercial service from launch to landing. A 1/10th scale model of World View's capsule during a test flight on October 24, 2015. World View hopes to begin commercial flights in 2017 and says passengers who pay the $75,000 fee to fly will experience one to two hours of flight and see the sun rise over the curvature of the earth. Before those flights happen, a series of tests of a full-scale system will have to take place. With the weekend's success, testing of a full-size working system is scheduled to begin later this year and run through 2016, said Katelyn Mixer, a spokeswoman for World View. A pilot on board will help steer the capsule in for a landing at one of several landing sites. World View hasn't named the sites except for the Arizona site it's using for testing. There's also a back-up autopilot system and the ability for controllers on the ground to land the craft, said Mixer. The Grand Canyon seen from 100,000 feet during a World View test flight on October 24, 2015. At 100,000 feet, the balloons don't make it to Karman line -- an altitude of around 100 kilometers that is generally considered the edge of space -- but they do rise high enough to put them in the stratosphere. 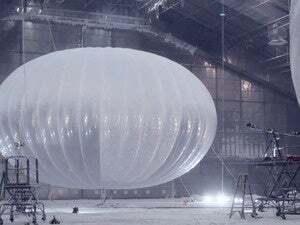 They fly more than twice as high as commercial aircraft and in a region that's typically the province of weather balloons, specialized aircraft like the U-2, and a new generation of airborne Internet platforms such as Google's Project Loon and Facebook's Aquila drones. Other companies are aiming higher. They include Virgin Galactic, which plans to blast passengers to beyond the Karman line. But it relies on much more complex rocket technology that comes with a much higher price tag of $250,000 per flight. 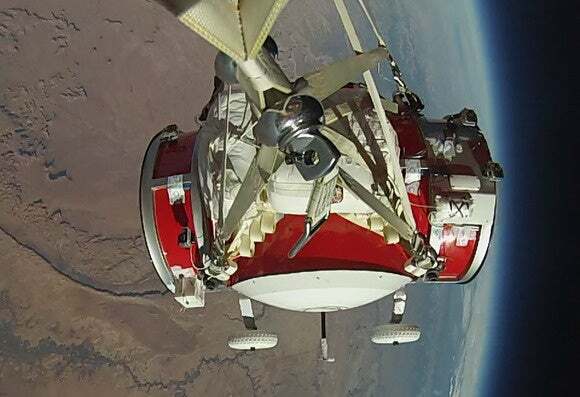 The World View balloon and 1/10th scale capsule is launched from Page, Arizona, on a test flight on October 24, 2015.